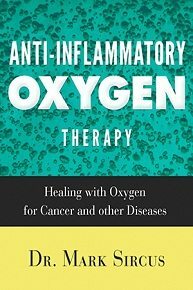 Anti-Inflammatory Oxygen Therapy introduces a new simple way of injecting massive amounts of oxygen into the cells. Anti-Inflammatory Oxygen Therapy offers much higher therapeutic results than an expensive, inconvenient hyperbaric chamber and can be done in your bedroom. Anti-Inflammatory Oxygen Therapy is simple. All it involves is breathing high levels of oxygen while exercising. In fifteen minutes one can open the cells allowing them to detoxify as they gulp down higher levels of oxygen. What I have discovered will help many people pull out of chronic situations where they have not been able to do so before. The Key Drivers of Cancer Growth Are?